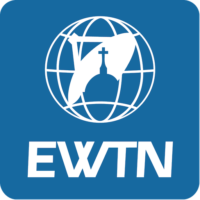 When Eternal Word Television Network (EWTN) was launched on August 15, 1981, many felt there would be little demand for a Catholic network. Now, in its 36th year, EWTN has become the largest religious media network in the world, transmitting programming 24 hours a day to more than 265 million homes in 145 countries and territories on more than 4,800 cable systems, wireless cable, Direct Broadcast Satellite (DBS), low power TV and individual satellite users. In the early 1960s, Mother M. Angelica, a Poor Clare nun, cloistered and dedicated to the perpetual Adoration of the Most Blessed Sacrament, fulfilling a promise made to our Lord, founded Our Lady of Angels Monastery in Irondale, Alabama, in the Deep South. In one of her early evangelizing efforts Mother Angelica began writing “mini-books”, short teachings on a variety of religious themes. As the popularity of these “mini-books” grew, her nuns obtained a printing press and started duplicating and distributing them worldwide. EWTN Global Catholic Network airs family and religious programming from a Catholic point of view in English and Spanish. Providing more than 80% original programming, EWTN offers inspiring talk shows, entertaining children’s animation, exclusive teaching series, live coverage of Church events, and thought-provoking documentaries. Beyond the broadcast vision, however, first and foremost, the spiritual heart of the EWTN mission is to bring the Eternal Word, Jesus Christ, to all. The religious centers of the network are visited daily by pilgrims who travel to Irondale to worship in the chapel or visit the breathtakingly beautiful Shrine of the Most Blessed Sacrament in Hanceville, Alabama. Visitors of all faiths are invited to “come away by yourself to a quiet place, and rest awhile” (Mark 6:31) and to pray before the Most Blessed Sacrament, adored and loved perpetually by the cloistered nuns now living at Our Lady of Angels Monastery in Hanceville or by the faithful in Irondale. Without making plans for the future, Mother Angelica, relying completely on Divine Providence, believes in going “where God opens the door.” It is that deep and constant faith in the Lord, which has called Mother Angelica to act on God’s invitation to do the impossible, through Him, who accomplishes the miraculous.